At 7.30, You will be met our guide at the lobby and drive to the My Khe Beach (Well known as China Beach or R&R Beach) where GIs and nurses relaxed before battlefields, quick stop for photos or you can take a walk along the beach, you also see from the beach the former US Navy Hospital which is the TV Series “China Beach” took place. Then we drive to the Marble Mountain Airfield Facility. You still see some hangars still there. Leaving Danang eara, we drive to the westsouth to visit Liberty Bridge, Football Island and An Hoa Combat Base. 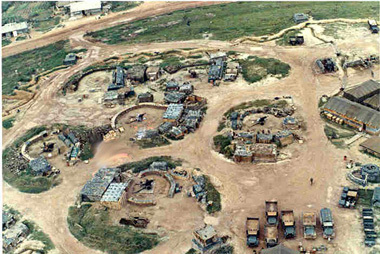 An Hoa Combat Base was first used by the Marines in January 1966 during Operation Mallard when the 1st Battalion, 12th Marines established a firebase there while the 1st Battalion, 3rd Marines and a Company from the 2nd Battalion, 9th Marines swept the surrounding area. 20 April 1966 the Marines returned to An Hoa on Operation Georgia, the 12th Marines reestablished a firebase while the 3rd Battalion 9th Marines provided security, the base would become permanent at this time as the Marines sought to pacify the area. The base is now gone but you still see the runway. Spend you time to explore around to recall your memory. After An Hoa, lunch will be along the road before driving to LZ Ross, Antenna Valley or known as Que Son Valley. 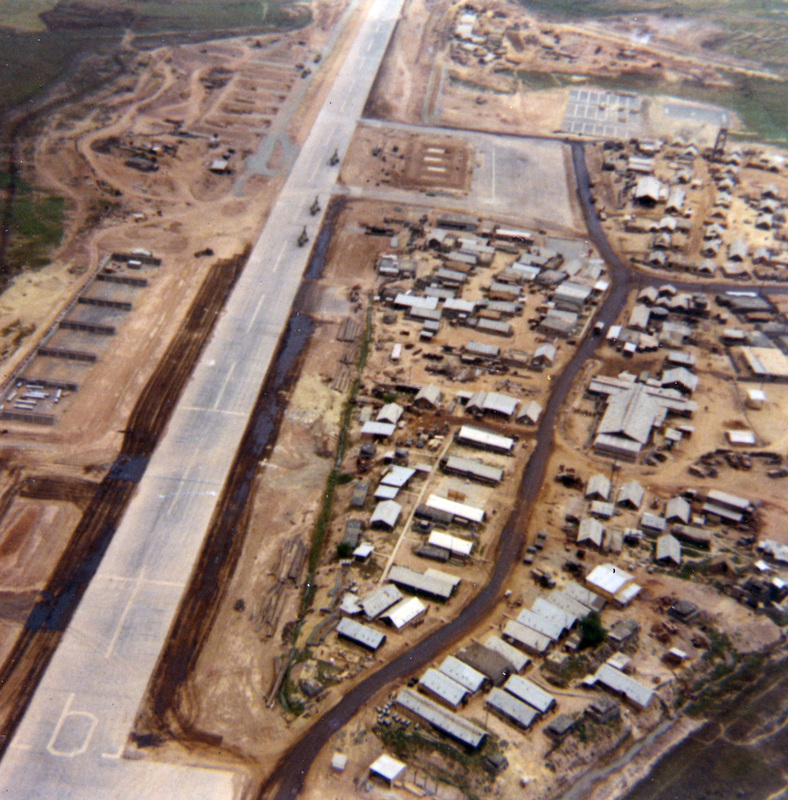 The Que Son Valley, during the Vietnam War, lay in the southern part of South Vietnam’s I Corps. Populous and rice-rich, the valley was viewed as one of the keys to controlling South Vietnam’s five northern provinces by the NVA and by early 1967 at least two regiments of the PAVN 2nd Division had been infiltrated into the area. The 5th Marine Regiment minus its 2nd Battalion, an experienced force that had fought in Vietnam since their arrival in the Summer of 1966, was assigned to the valley in 1967 to support the outnumbered Army of the Republic of Vietnam (ARVN) forces in the area, the 6th ARVN Regiment and the 1st ARVN Ranger Group. 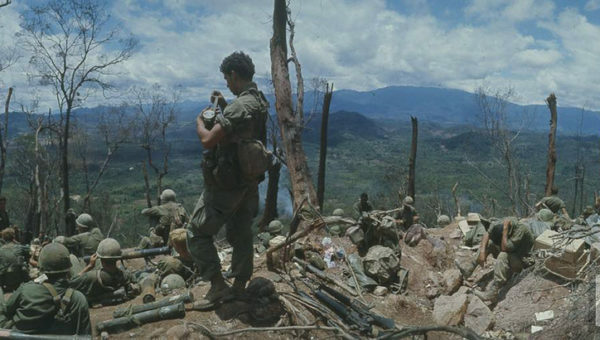 Since mid-January 1967 Foxtrot Company, a reinforced company of the 2nd Battalion 1st Marines (F/2/1), had manned an outpost atop Nui Loc Son (Loc Son Mountain), which dominated the southern Que Son Valley. 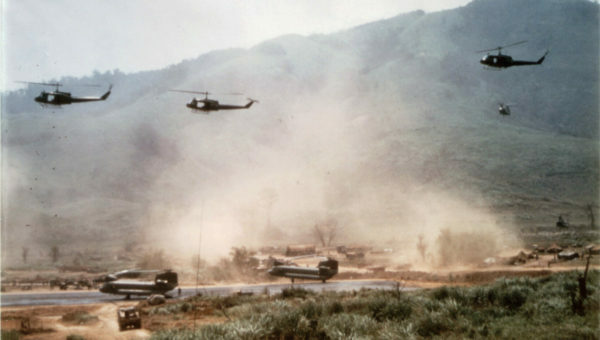 Although the PAVN and Vietcong forces operating in the valley did not initially take much notice of the Marines, on April 15, 1967 the Foxtrot company commander advised Colonel Emil Radics, the commander of the 1st Marine Regiment, that enemy units appeared to be preparing for an all-out assault on the outpost. Radics developed a plan for a multi-battalion assault and sweep aimed at clearing PAVN units from the vicinity of the mountain. The plan was approved as Operation Union by Major General Herman Nickerson, the commanding general of the 1st Marine Division on April 20 and was put into action the following morning. Have amble time to explore the area before heading back to Danang city.